Looking to get money off your purchases at The Souled Store, but aren't sure how to do it? Perhaps the best method is to hunt down some special offers that you can redeem online. At DealSunny we gather all the latest The Souled Store coupons and offers on one page, so you don't even have to spend time searching the internet for something that will work. All you have to do is browse our list and when you see a deal you like, click the link to reveal a new window with all the terms and details on how to claim it. Why pay full price, when you can use DealSunny? Not looking to buy apparel or merchandise today, but have other stores, service providers or food deliveries in mind? Be sure to check out our full database of merchants and make great savings on whatever you choose to spend your cash on! The Souled Store is an online marketplace that connects independent artists and designers with customers who want awesome apparel and merchandise at affordable prices. There is also a wide range of official band, comedy and TV & Film items available. But if you prefer your own designs, you can always design your own t-shirt for yourself! The online only business can be found at TheSouledStore.com and serves Indian and international customers from its base in Mumbai. They provide prompt home delivery and a wide range of payment methods to ensure no customer is excluded. One way the online store has grown to such popularity is through regular sales, offers and deals, which are commonly redeemed using special The Souled Store coupons. We maintain a list of these right here at DealSunny, so make sure to browse back before placing an order to see how much you can save. DealSunny has the biggest and most up to date Souled Store offers list on the web! The Souled Store was founded in 2013 by 4 friends who saw a gap in the market for creative and custom apparel. "The Souled Store is not just a website or an organisation but a community of like-minded people getting together and expressing themselves through their work," reads their about page. Today founders Vedang Patel, Rohin Samtaney and Aditya Sharma still serve as directors of the company, with Khyati Shah appointed Head of Design. The Souled Store sells a comprehensive range of merchandise and apparel from official brands and independent artists, as well as letting you design your own items using an online suite. If you're particularly talented you can even sign up to sell your own designs and make cash on the side. They cater to both individuals (domestic and international) and bulk buyers, and can also accommodate schools and colleges. The unique merchandise available on The Souled Store is for people who love to express themselves creatively and freely. Depending on the type of offer you're looking for, you may be able to use a The Souled Store promo code to get a discount on any purchase, or specific items only. Offers are always changing, so if you see something you like, don't hesitate to snap it up right away. Types of merchandise categorized on the site includes: T-Shirts, Wall Art, Phone Covers, Painted Shoes, Mugs, Boxer Shorts, Coasters, Badges, Socks, Pajamas, Notebooks, Backpacks, Tote Bags, and much more. You will find Artist only designs under the Artists section, and merch for brands under the Official Merchandise section. You can also browse by themes, such as Bollywood, Music, Cartoons, Gaming, Geeky, TV, Zodiac, Social Causes, Funny, Movies, Sports, Superheroes, and more. 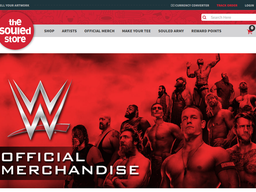 Official merchandise is available for WWE, DC Comics, Harry Potter, Friends, Marvel, The Big Bang Theory, Looney Tunes, The Lord of The Rings, and more. The Souled Store Game of Thrones section is particularly popular. Music merch includes Bacardi NH7 Weekender, Harley Rock Riders, The Anand Bhaskar Collective, The F16S, Ganesh Talkies, Ankur & The Ghalat Family, Reggae Rajahs, Nicholson, Sickflip, Gurbax, Scribe, Gutslit, Indus Creed, Kru172, and others. Under Comedy you'll find All India Bakchod, Pretentious Movie Reviews, Sing Comedy, Daniel Fernandez, and Chalta Hai Comedy. They also stock sports team merch for the Bengaluru Bulls, The Shaka Surf Club, and the Bengal Warriors. Some of the most popular individual artists at The Souled Store include: Snigdha, Amina, Samarth, Shikha, Karan, Rachit, Shrey, Siddharth, Sri Vamsi, Kaushal, and many others. If you are shopping to get somebody a gift but aren't sure what they would like? Why not purchase a Gift Voucher, that way they can make their own purchasing choices. As well as the products you can buy there is also a fun community. If you are an avid customer of the Souled Store and wish to show off your merch, you may wish to check out the Souled Army page. Here you can upload any photo of yourself wearing or displaying a product you have bought from the store, so the whole world can see! Standard Sales: These are regular sales that allow you to purchase certain items at a discounted price, just by adding them to your basket. Combos: These offers require you buy a certain amount of items to get another free of for money off. 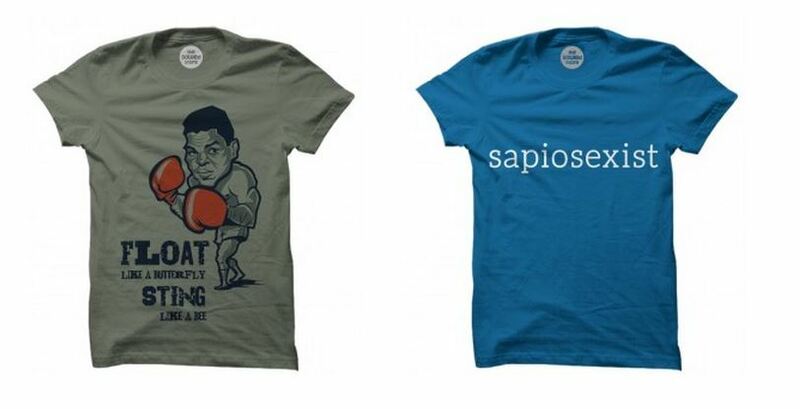 For example right now you can Buy 2 T-Shirts and get Rs. 50 off the order, or 5 Notebooks to get Rs 100 off. The Souled Store Coupons: These are special codes that you can find at DealSunny and on the site, which you can redeem during the online checkout process for various deals and discounts. Rewards Program: This simple program allows you to earn points for every purchase you make, which can be redeemed later for money off your orders. The more you buy the higher the rate of points. Referral Program: You can also earn points be referring your friends via special link. If they make a purchase and it's logged as being generated by you, more points will be allocated to your account. As well as checking back to DealSunny before placing an order, you can also find some exclusive offers by signing up to their email newsletter. You might also find some by following them on social media, including Facebook, Twitter, Pinterest, Instagram, and Google Plus. If you have ever purchased something online before, you should have no trouble shopping at the Souled Store. It utilizes a standard basket and checkout system, and organizes all of the products in to easy to browse categories. You can also use the search bar at the top of the page if you have a good idea of what you're looking for. They do not currently have any mobile apps. Before proceeding you will have to register an online account by providing your email, SMS and other personal details, but this will only take a few minutes. When complete it will make ordering much faster in the future and will give you a set of pages to view your order history and manage things. On the site, to further help you find something you like you can click the Filter/Sort button on category pages, and then refine the listing by Colour, Theme, Popularity, Release Date, and Price Range. The product page itself will feature multiple photos of the item, a description and info on the artist. If happy you can choose a size and add it to your cart for checkout. Here you'll also be able to redeem your The Souled Store promo code. If you wish to make your own T-Shirt, simply click the link to be taken to a web based design interface. Here you can choose the quality of the shirt, its base colour, and also add text. For proper designs you will want to upload an image from your computer, which will be printed on to the shirt. Remember to use a high quality design with lots of pixels so the print doesn't come out blurry. They are not liable for poor original art work, only for direct printing errors. If you're interested in signing up to sell your own designs, you can go to the "Sell Your Artwork" page. There are also dedicated pages for School and College buyers, Bulk and Customer Orders, and Careers. The Souled Store ships internationally, so there is also a handy currency converter feature to help you work out the price in your native currency. You will pay via Paypal. The Souled Store caters to both individual and bulk buyers, just clock the appropriate link at the bottom of the page. If you are a school or college looking to buy a custom kit for sports or another purpose, you can click the School & College link and upload your logo or design, before buying in bulk. They even have a crowd funding platform so parents, students and teachers can all share the cost. You can pay for your purchases from The Souled Store with most major Indian and International credit and debit cards, including Visa, Visa Debit, Mastercard, Maestro, and American Express. You can also easily checkout and pay with your Paypal account, which allows for even more cards and even funds directly from your bank account. Net Banking is also available with most major Indian banks. If you do not have the online means to pay, you can also choose Cash On Delivery, which simply involves paying the delivery driver when your order arrives. Unfortunately this is not available for every location or for every product, so be sure to check before going through the checkout. You can also apply any amount of gift voucher balance to your order, with any remaining bill covered with another accepted payment method. If you wish to redeem any The Souled Store offers via coupon code, all you have to do is carefully enter said code in to the designated box during online checkout (just before the payment step). If valid you should see a confirmation message and the total cost of your order will drop accordingly. Note you can only use one code per order, but they can often be combined with non-coupon offers for even deeper discounts. Orders made to an Indian address will usually arrive within 8 business days. International orders can take up to 15 business days depending on the location. In India all orders over the value of Rs. 445 are shipped free of charge, but below this threshold is a small fee of Rs. 50. They use many reputable couriers, and the best one for your order will be chosen automatically. All orders will be delivered in fully sealed packages to protect your goods and ensure that they reach you in perfect condition. When your order has been dispatched it will be reflected within your online account and you will also receive an email. You can also track your order from within your online account so you know roughly when it will arrive. If there are any delays or issue with your order after it has been dispatched, customer support will aim to contact you via email and SMS to keep you updated. Do not hesitate to contact customer support if you have any queries about the arrival of your order. You are free to cancel your order at any time so long as it has not been dispatched. You must contact customer support to initiate a cancellation. If you wish to return an unwanted item it must be done so within 15 days of the delivery date. It can only be accepted if it is still in its brand new, unworn condition, with all of the original tags and packaging. You will be refunded the equivalent amount minus shipping charges. If you received a damaged or defective item, this can be returned for a full refund or replacement. Obviously if you have used any The Souled Store coupons to get a discount, you will only be refunded the actual amount charged. The refund process will be initiated within 48 hours of their receipt of the return. Once initiated, the amount will reflect in your The Souled Store account as Reward Points. The Souled Store Pvt. Ltd. The Souled Store can be easily contacted by phone or email if you have any questions or queries. Their phone number is 022-39653110 and can be reached Monday - Friday ; 11 A.M - 6 P.M. You can drop them an email by using the online form. Can I Make Orders In Bulk? If you wish to order a particularly large quantity of an item or several items, beyond what's available on the regular product page, you should email them at [email protected] for a quote, or use the Bulk/Custom Orders page. You may get a nice discount for ordering over a certain amount. What Are The International Shipping Charges? International shipping charges will vary from country to country, but are clearly displayed before you complete the payment step. The full cost of your order including shipping, octroi or sales tax, is included during the checkout process, so you will know exactly how much you will be charged. The Souled Store use the latest encryption technology and industry standard secure online payment gateways, to ensure your data is safe. How Do I Redeem The Souled Store Offers? This depends on the type of offer you're redeeming. Standard discounts and deals on the site are automatic and will be shown when items are added to your basket. The Souled Store coupons must be valid (i.e. not expired) and entered in to the box during the online checkout process to be applied. The Souled Store Loyalty Program is free and automatically begins when you make your first order. 10% of your order value will be added to your store credit wallet when you shop between 0 and Rs. 3,000. This can then be redeemed on your next or any future orders for a discount. The more you spend the more you get back. @baxiabhishek Hey Abhishek, you can get in touch with us via email at [email protected] and we will get back to you. @Ashrockz86 Hey, I'll put this across and see what we can do about this!